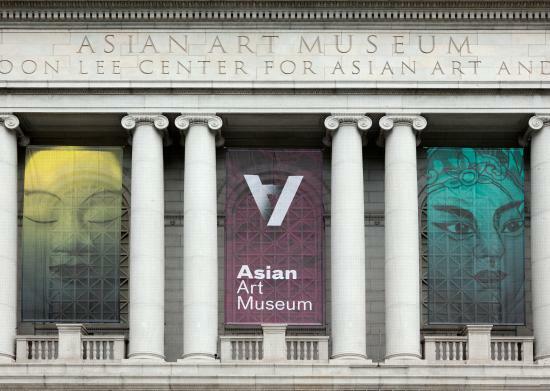 Please join us for a very special “doubleheader” program at the Asian Art Museum. The program will start with a guided tour of the Asian Art Museum’s new Kimono Refashioned Exhibit. Featuring over 35 garments from the Kyoto Costume Institute, Kimono Refashioned shows us that kimono continue to be a fertile source of ideas for contemporary designers, both in Japan and across the globe. The tour will be followed by a presentation by Robert Mintz, the Museum’s Deputy Director for Art and Program, on Avery Brundage and the founding of the AAM collection. Come learn about this Chicago-born businessman, Olympic Committee Chairman, and renown art collector, who left a remarkable legacy in the worlds of both the arts and sports. As Deputy Director, Dr. Mintz guides the Asian Art Museum’s exhibitions and collections efforts. In service to the museum’s vision, “exposure to and understanding of Asian art and culture are essential to everyone,” Rob oversees the curatorial, education, collections, marketing, digital and design departments as they work to mount ever more meaningful and impactful exhibitions, installations, and programs. Prior to joining the Asian Art Museum, he served as Chief Curator and the Mr. and Mrs. Thomas Quincy Scott Curator of Asian Art at the Walters Art Museum in Baltimore. Over the decade he spent with Walters, Rob developed exhibitions of Japanese decorative arts (Japanese Cloisonne Enamels, 2010,and Designed for Flowers: Japanese Contemporary Ceramics, 2103), Japanese paintings (Autumn Colors, 2012), Contemporary South and Southeast Asian works (Amita Bhatt, 2011, Araya Rasdjarmrearnsook, 2013), and other topical exhibitions that brought Asian works of art to the Baltimore community. Born and raised in Midland, Michigan, Rob’s interest in Asian art and culture, and in particular Japanese art, began during his undergraduate studies when his family relocated to Tokyo. His undergraduate studies first at Reed College and later at the University of Michigan (BA, Art History, 1989) gradually turned to an intensive study of Japanese language, culture, and art. His doctoral work was an exploration of 18th-century Japanese painter and poet Yosa Buson’s literati-style works completed in 2002 at the University of Washington. He has taught the history of Asian and of Japanese art for several universities first near Seattle (Central Washington University, Seattle University, the University of Washington) and later in Maryland (Towson University, The Johns Hopkins University). His current research projects include an exploration of the contemporary potters active in Kyushu and continued work on the history of collecting Asian art in 20th century America. Museum admission fee NOT INCLUDED!